ShopTracker Review 2019: Is the ShopTracker App Safe or a Scam? Did you know that you can earn money from the shopping you do online every day? ShopTracker is a popular site that pays you for the purchases you’re already making on Amazon. Operated by Harris Poll, ShopTracker analyzes purchase trends and sends that information to marketing groups. The best part is that your private information stays private. Harris Poll is a large survey company that continuously measures online shopping trends for top marketing companies. If you want to earn money back on your online purchases, you should consider signing up for ShopTracker today. Here’s our thorough review on ShopTracker and how you can start earning money on your purchase history. Click here to sign up for ShopTracker today to start earning money back on your Amazon purchases! Is $36 Per Year Worth My Time? What Information Does ShopTracker Collect? Most people love online shopping, and with so many of us that shop online every day, why not earn some money back on your purchases? When you sign up with ShopTracker, you give the site permission to scan and analyze your online purchases, which marketing companies end up compensating you for. While you won’t make the money back that you’ve spent online, it’s nice to get something back on the purchases you’re already making. Once you sign up for the site, there’s nothing else you need to do. ShopTracker pays out $36 per year just for signing up and allowing them to analyze your shopping habits. Signing up for ShopTracker is one small step you can take to help build up a consistent passive income online. There are three very basic steps that you need to take in order to start earning money with ShopTracker. The first step is registration. Registration takes just a few minutes, is completely free, and ShopTracker protects your personal and private information. You just need to fill out a short form and answer questions about your online shopping behavior during the signup process. These questions will qualify you to be part of the program. It’s important to note that you need to be an active Amazon shopper in order to take part in ShopTracker. The only other requirements are that you are at least 18 years old and you have access to a computer with internet. Additionally, the site is only open to consumers located in the United States, but Harris Poll is looking to open it up worldwide in the near future. Once you’re qualified for ShopTracker, the next step is to download and open the ShopTracker application on your device. Opening the application gives ShopTracker permission to analyze your online purchases. When it submits information to the database, your personal information is removed and protected. Only the purchase history is shared with ShopTracker, so your personal information such as your name, address, and payment information all stay safe. ShopTracker guarantees that your personal information is safe and secure because it only saves the shopping history data and not your personal information. You’ll be emailed a code within 48 hours that allows you to redeem a $3.00 reward for sharing your information with ShopTracker. When you sign up for ShopTracker, the site syncs with your Amazon information, so you’ll get the link for a $3.00 digital gift card every single month without having to do anything else. While $3.00 per month isn’t anything wild, it’s definitely worth spending a few minutes setting up your account and not having to do anything else afterwards. Within 48 hours of being approved to join ShopTracker, you’ll receive an email with a link to download the ShopTracker application. The application is currently available on Android and Apple devices and is listed as Harris Panel in the App Store and the Google Play Store. You can also download the application directly to your computer. The desktop version of the application is only compatible with Windows 7 or later, so if you don’t have a computer with Windows 7 or later, your best option is to download the application right on your phone. The ShopTracker application is currently not compatible with Mac computers at this time. Harris Poll set up ShopTracker to get a deep-dive analysis into how consumers shop online. By understanding how consumers use their phones and computers to make purchases online, Harris Poll is helping companies around the world update and improve their marketing and pricing. When you sign up for ShopTracker, you get to take part in an exciting study that is truly shaping the future of eCommerce. There are plenty of reasons why you should consider joining ShopTracker, the first being that it’s incredibly simple to sign up. By spending just a few minutes signing up, you’ll start receiving emails with $3.00 digital gift cards to your inbox every single month. You can start earning money on your online purchases by taking two minutes out of your day to sign up. Not only do you earn digital gift cards for letting ShopTracker analyze your purchase, but you’re also partnering with one of the top research companies in the world. Harris Poll is a leader in marketing research and provides valuable insights into shopping trends for top retailers across the globe. By allowing ShopTracker and Harris Poll to view your shopping data, you’re helping top companies tailor offers and pricing to consumers just like you. In addition to being part of important marketing research, signing up for ShopTracker gives you the opportunity to complete additional surveys and focus groups to earn even more. You have the chance to be selected for exclusive surveys and activities through ShopTracker, which can greatly increase your earnings by allowing you to give your opinion on the products and services you already use. You’re already shopping on Amazon, why not earn some money and get the chance to take part in paid surveys as well? While $36 isn’t a ton of money, we definitely think that signing up for ShopTracker is worth your time. Right now, ShopTracker is offering a $3.00 bonus just for signing up, meaning you’ll earn $6.00 the first month you let ShopTracker analyze your shopping data through Amazon. Signing up takes just a few minutes, and if you qualify based on the shopping behavior questionnaire, you’ll earn $3.00 every month without having to do anything else. Your family can also take advantage of ShopTracker to start earning money on their Amazon purchase history. ShopTracker allows up to three Amazon accounts to be registered in each household, meaning you can make up to $108 per year if you and your family register three accounts. In addition to the money you’ll get monthly through shopping analysis, you’ll have the chance to take part in exclusive surveys and opinion panels through ShopTracker. If you have the maximum of three accounts registered per household, you’ll increase your chances of being invited to take a paid survey. Even if you’re not interested in taking surveys or participating in panels, taking just a few minutes to sign up for ShopTracker is well worth the effort. There are two main pieces of information that ShopTracker collects and analyzes when you sign up; the questionnaire information and your shopping history. As we mentioned previously, your other personal information is masked and is never saved by ShopTracker, meaning your name, shipping address, and payment information are safe and secure. ShopTracker uses the information it collects to create in-depth reports and analyses that show online shopping behaviors. By combining shopping history with surveys, panel interviews, and other online shopping data sources, ShopTracker is a leader in the marketing research industry. While there is some information that you need to allow ShopTracker to access, your private and personal information is always safe and is never stored or saved by ShopTracker. Once you open the app, it will ask you for your Amazon login information, which it does not save or retain. When you log in to Amazon through the ShopTracker app, ShopTracker then receives your shopping history and begins to process and analyze it. You’ll see a progress bar as it analyzes your purchase history and will notify you when it’s done. When it is complete, you’ll be notified and there’s nothing else you need to do. Within a few days, you’ll receive an email with your digital gift card. Since your Amazon account is already synced to the application, you won’t need to go through the manual process going forward, meaning you’ll automatically receive your digital gift card via email every month. We always caution our readers to fully research any opportunities to make money online because we’ve seen too many online scams. With ShopTracker, we’ve done the research for you. While it might seem like ShopTracker isn’t legitimate, we’re here to tell you that it absolutely is. Many people might worry about their information being leaked or sold, but ShopTracker and Harris Poll guarantee that your information is safe and secure, so you can take comfort in knowing that your personal information isn’t being leaked when your shopping history is analyzed. ShopTracker currently has thousands of users taking advantage of this simple way to earn money on their Amazon shopping history. There are tons of consumers out there just like you that know just how easy it is to sign up and sync their Amazon accounts to start earning money consistently every month. If you’re worried about your information remaining safe, there’s no need. Real users report that they’ve had no issues with their information being breached and that their information is safe and secure. With so many stories about user information being breached or hacked, it can be concerning when a site is asking for access to your personal and private information. What makes ShopTracker so unique and trustworthy is that your personal and private information is never stored on their servers. In fact, your personal and private information is completely masked before your shopping data is sent over to ShopTracker and saved. It takes just a few minutes to register for ShopTracker, answer the shopping behavior questionnaire, and sync your Amazon account to ShopTracker. Where else can you earn $36 for two minutes of your time? While ShopTracker isn’t going to make you rich, it’s definitely worth spending the few minutes it takes signing up. 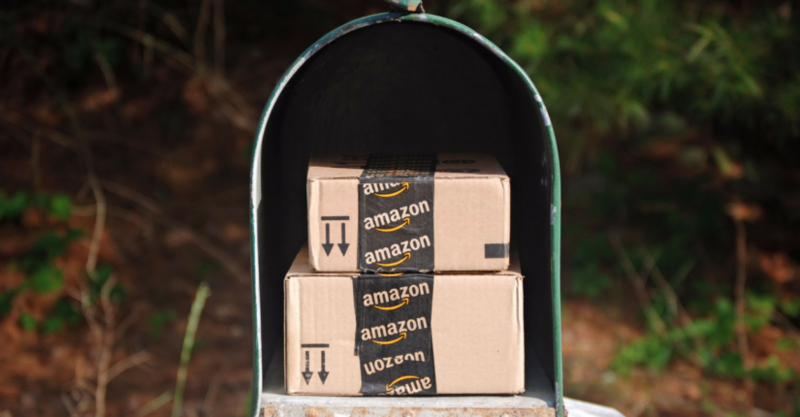 If you’re an avid Amazon shopper, why not get paid for your purchase history? ShopTracker is incredibly simple and straightforward, with signup taking just a few minutes out of your day. The best part about ShopTracker is that once you sign up and sync your Amazon account, you don’t have to go through that process again. Your digital gift card will be emailed to you every month as ShopTracker analyzes your shopping data. With your personal information as well as your Amazon credentials remaining safe and secure, ShopTracker is a great way to earn some extra money for the online shopping you’re already doing. We hope you’ve enjoyed our review of ShopTracker and that you’ll sign up to start earning money for your shopping history. We wanted to notify you that unfortunately the ShopTracker program came to an end as of March 31st, 2019. Please note that ShopTracker can be easily uninstalled from Windows. To uninstall, go to “Control Panel”, choose “Programs and Features”, double click “ShopTracker “, and confirm you want to uninstall. You may uninstall the ShopTracker app from your mobile device in the same way that you uninstall other apps. We appreciate your participation and interest in our Shoptracker program! I have shoptracker installed through Pinecone Research that company pays 3.00 per survey right now there is not alot of surveys but the money gets sent via paypal and paypal now has a Debit Card you can use. I just got 6.00 today for a survey and shoptracker. Points for dollars so if you get 300 points it is 3.00.